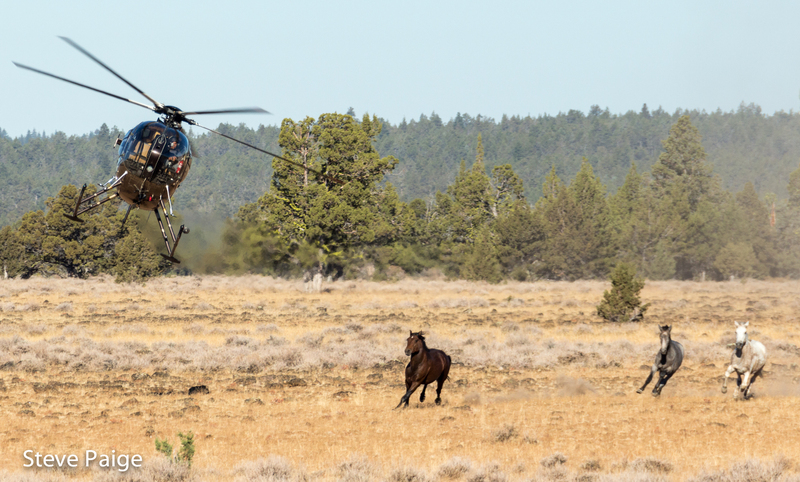 The U.S. Forest Service rounded up 61 wild horses at The Devil’s Garden Horse Territory on Wednesday in a third day of helicopter trapping. 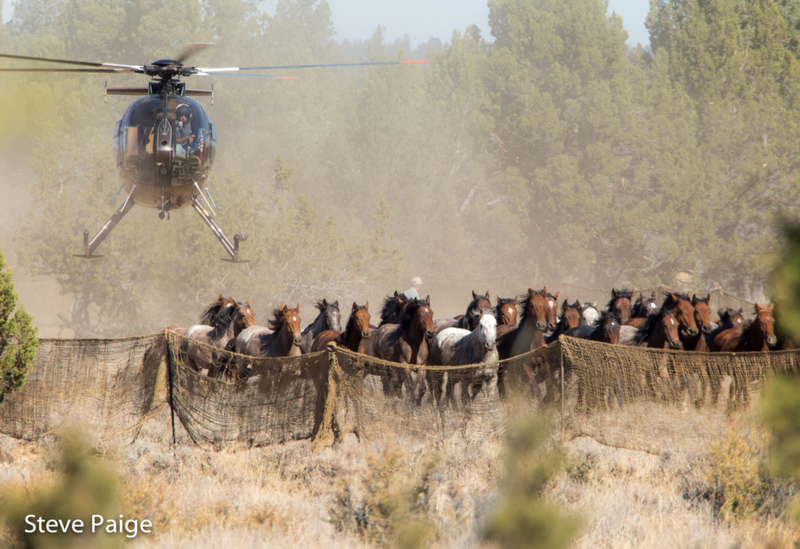 The Forest Service plans to capture about 200 wild horses from the territory, which is located in northeastern California. Forty-five were rounded up Monday, 48 on Tuesday, for a three-day total of 154. 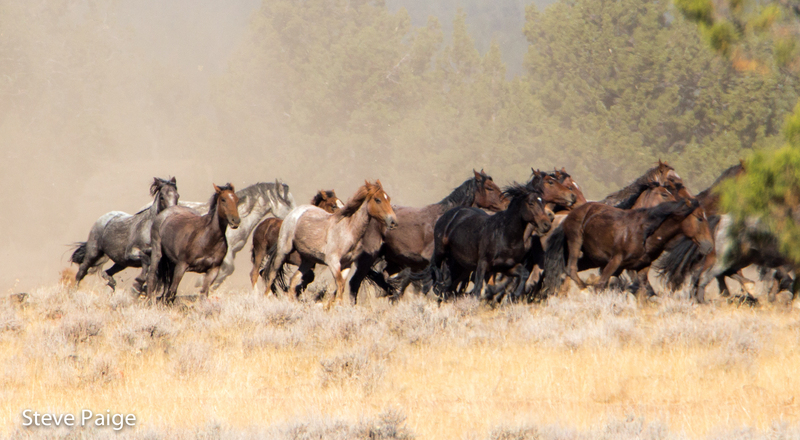 According to Return to Freedom’s Steve Paige, Wednesday’s roundup included one large herd with a mix of ages and colors, including roans. The horses were trucked to a temporary holding facility at Willow Creek Ranch, where they were sorted and separated from their family bands. One exception: a band of five (photographed below) that remained intact while awaiting adoption. 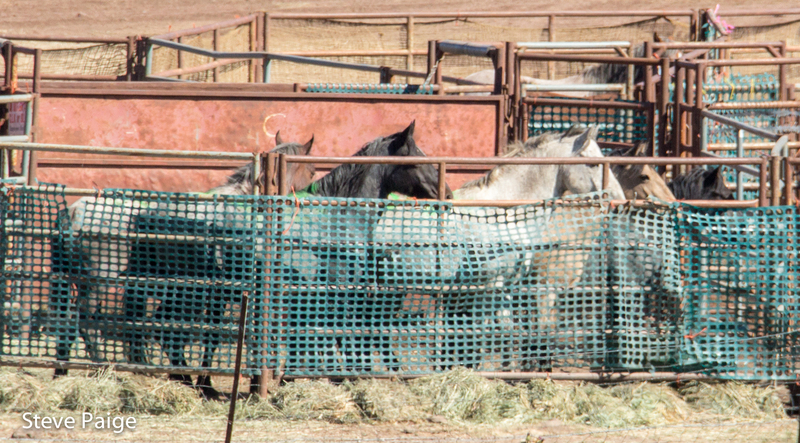 Later, the horses were loaded for transport to the Bureau of Land Management’s Litchfield Wild Horse and Burro Facility, east of Susanville, Calif. For more information about the facility and adoptions, please click here. For more information on the roundup, please click here. To add your name to Return’s to Freedom’s anti-roundup petition, please click here. SEE DAY FOUR OF THE DEVIL’S GARDEN ROUNDUP HERE.